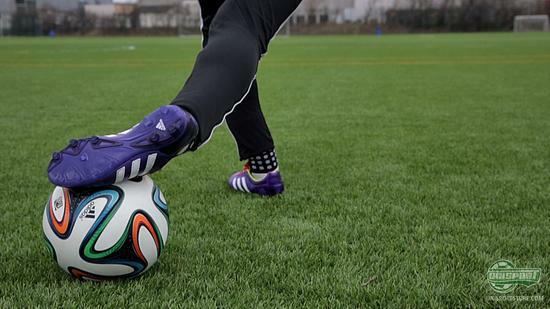 All good things come to those who wait and here comes Joltter's much awaited review of Adidas' latest generation of their AdiPURE-collection, the 11Pro II. Today's episode takes a look at one of the markets now few real leather boots. Come along. The development in the football boot market has in the last few years taken massive leaps. These days there is much longer between the releases of football boots, which are made with an upper entirely from leather. Even though the demand is seemingly moving away from full-blooded leather boots, Adidas have kept one in their repertoire made from their Taurus leather. The AdiPure 11Pro II is its name and Joltter thinks it's definitely the right call by Adidas to keep their leather football boots. This type of upper can still perform to a level, which other materials can't live up to just yet. Joltter must however admit that the boot isn't for the more technically gifted players, but regardless that is not the aim of the AdiPure 11Pro II, because it focuses on other things instead, with the main one being comfort. 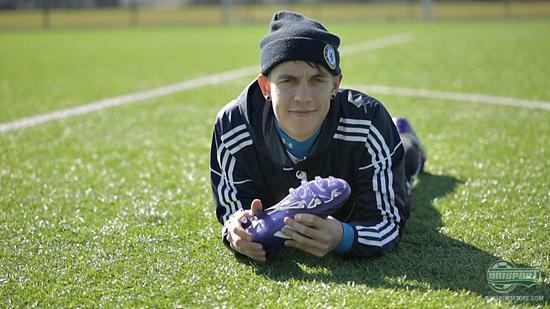 Joltter is impressed with the way Adidas' 11Pro II wraps in your foot. Actually it does such a good job that you have to get used to those levels of contact between foot and ball. Adidas have chosen to equip their boot with the so-called Memory Foam, which gives extra support beneath both the instep and the tongue. The leather-upper combining with the Memory Foam creates a very cushioned effect, so where the comfort may be at the top of the scale, your touch with the ball might falter slightly. 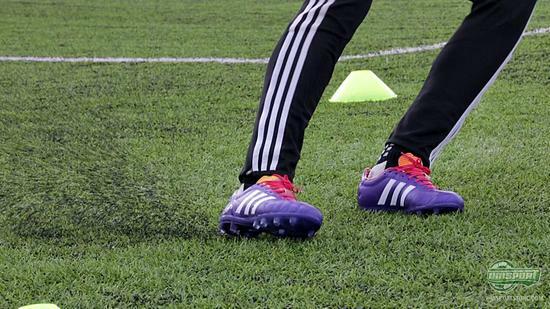 Another thing that is different on the 11Pro II, is the boots sole, which is made with their new Comfort Frame. The improved frame works to give greater comfort and also meant Adidas could redesign the stud-configuration and improve the grip. Joltter points out that the new stud-system means there has been made room for a new stud, which is placed underneath the front-foot, as to give a better dispersion of pressure. One thing in Joltter's opinion, which still doesn't quite work however is the heel cap. Despite Joltter going half a size down, he still didn't think the heel gave the necessary lockdown. Therefore he didn't feel like his foot was adequately kept in place. This did harm what is otherwise a sensationally comfortable and solid boot. In full Joltter gives the new Adipure 11Pro II a solid thumbs up. You should however keep in mind that the 11Pro II doesn't have any strike panels or dribble-elements, like many boots do these days and you are completely dependent on your own abilities. 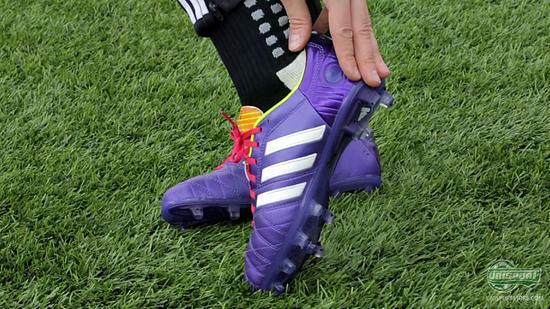 Is this not a problem for you, then the new 11Pro II is definitely a brilliant boot for you. 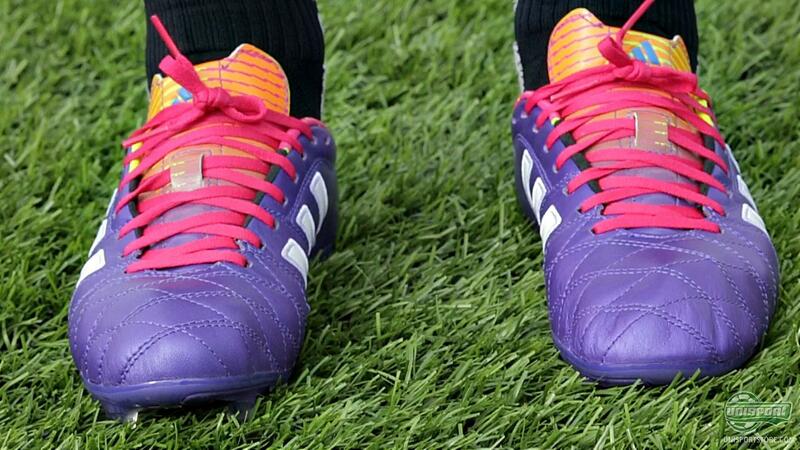 Adidas have certainly got comfort on the front-seat, when they designed the newest generation of the 11Pro II. So much so that a little ball control may have been lost. But what do you value the highest? Comfort or control? We would love to hear from you in the comment-section down below, or on Facebook and Twitter.